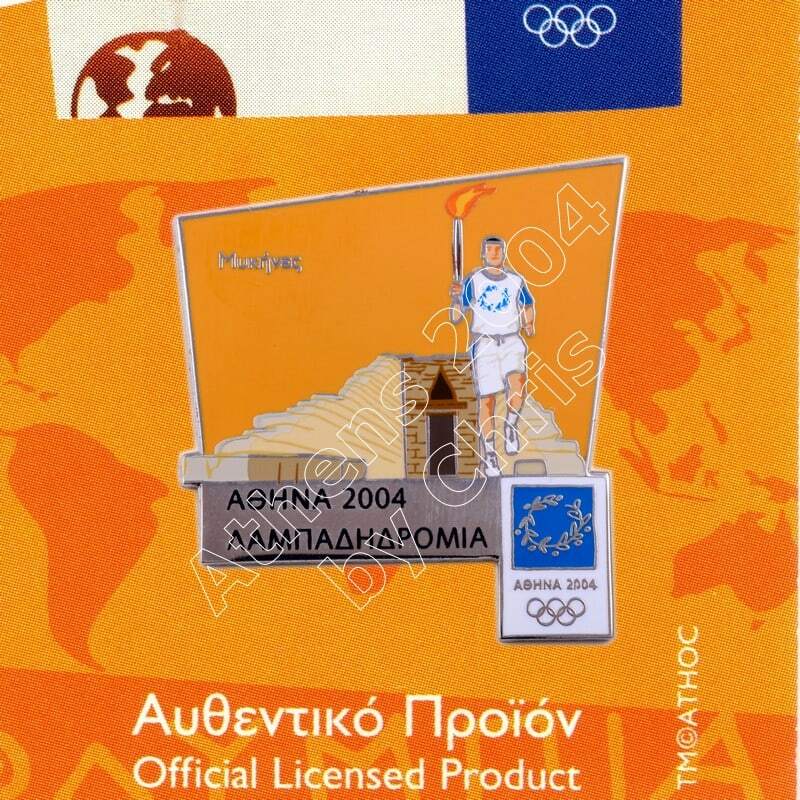 The Olympic Flame past from Greek City, Mykines. Mykines is an archaeological site in Greece, in the north-eastern Peloponnese. In the second millennium BC, Mykines was one of the major centres of Greek civilization, a military stronghold which dominated much of southern Greece. 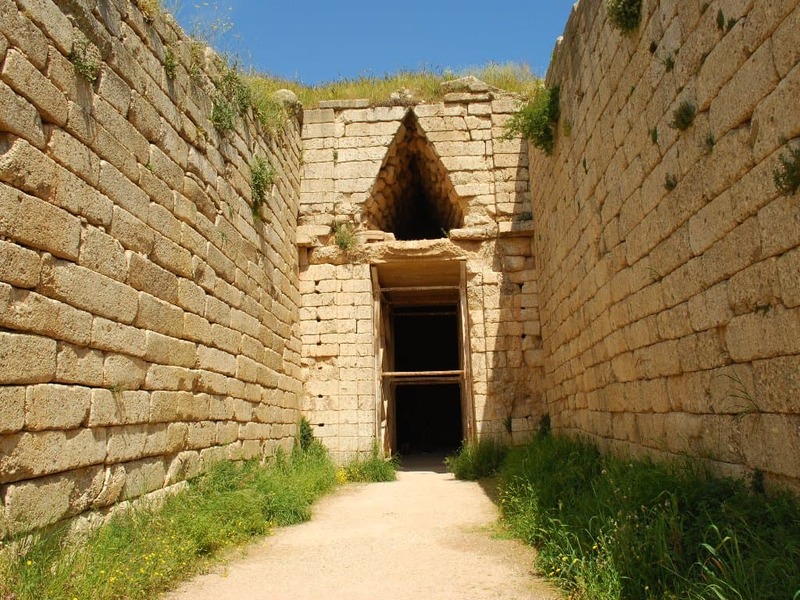 The period of Greek history from about 1600 BC to about 1100 BC is called Mycenaean in reference to Mykines. 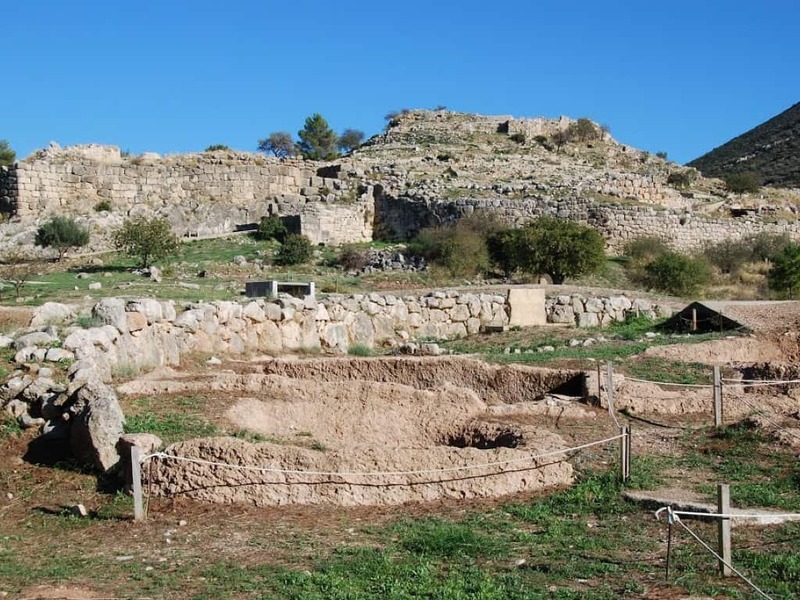 At its peak in 1350 BC, the citadel and lower town had a population of 30,000 and an area of 32 hectares. Mykines, an acropolis site, was continuously inhabited from the Early Neolithic (EN) down through the Early Helladic (EH) and Middle Helladic (MH) periods; EN Rainbow Ware constitutes the earliest ceramic evidence discovered so far. Pottery material spanning the entire EHI through EHIII period was discovered in 1877–1878 by Stamatakis at a low depth in the sixth shaft grave in Grave Circle A; further EH and MH material was found beneath the walls and floors of the palace, on the summit of the acropolis, and outside the Lion Gate in the area of the ancient cemetery. An EH–MH settlement was discovered near a fresh-water well on top of the Kalkani hill southwest of the acropolis. The first burials in pits or cist graves manifest in the MH period (circa 1800–1700 BC) on the west slope of the acropolis, which was at least partially enclosed by the earliest circuit wall.